A quickly accelerating paradigm shift is under way among scientific enterprises. Whether in the energy sector, food and beverage, biotech, chemical engineering, or pharmaceuticals, companies that have historically relied on in-house research & development (R&D) have begun to outsource as part of a growing trend. The use of contract research organizations (CROs), joint ventures, academic partners and consortiums are on the rise as organizations try to innovate faster, focus on core competencies, and reduce operational expenditure. In the 2016 Contract Pharma Outsourcing Survey, 73% of industry professionals highlighted an increased demand for outsourcing. can work for all parties despite location, firewall restrictions, and discipline. The shift toward outsourcing to external vendors, particularly in R&D, is already having a profound impact on execution and communication flow across projects and teams. Collaborations and partnerships are forcing organizations to shift from internal departmental management to dynamic networks of oversight and workflow. The necessary exchange of data across external platforms has relegated much of the organizational communication to the realm of email and basic document exchange tools like SharePoint and Dropbox, which have proven to be woefully inadequate to the task. With teams no longer located at one fixed site, differing corporate cultures and informatics systems create hurdles for data management and communication flow. In a 2015 survey on Laboratory Knowledge Management, 70% of key pharma and biotech companies recognized ‘Increasing data usability in and out of the laboratory’ as their top priority, with 65% listing ‘Investment in practical software/hardware solutions to increase efficiency of work flow’ as their biggest hurdle. For many, the constant thread of emails too often becomes the primary default means of content sharing, with no unified way of tracking information dissemination or document review. 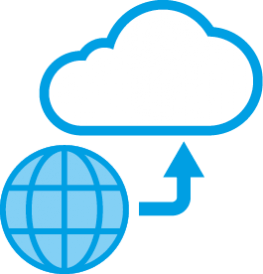 Secondary document sharing portals like Dropbox and SharePoint provide only limited solutions, without a standardized protocol of version and labeling systems. The opportunity for missed connections, faulty data, and lost time is high, and even with a structured agreement across sites and platforms, emails get lost, older messages where data may be attached are purged via automated company protocols, and important information gets buried in a thread involving multiple participants. When dealing with sensitive communications and data, keeping track of who does, and does not, have clearance and access to certain materials is nearly impossible to ensure. What happens when a contract is terminated or a project stage is completed? Who will be designated to oversee this process? How can up-to-date archiving and version management be maintained? Overall, with email and basic document exchange tools as the medium for communication, time, efficiency and cost are all eventually compromised. Not spoken language, though that is a factor due to globalization, but differences in the language of corporate cultures, internal firewalls, and ELN and LIMS configuration specifications between silos. In collaborative work structures, the ability to securely integrate informatics systems between organizations is limited. Many larger organizations may use multiple overlapping ELNs and LIMS simultaneously, and utilize detailed internal structures and IT specialists to link departments and projects across an organization whilst maintaining the appropriate user access controls. Users require extensive training in usage and policy of the software, making onboarding of new users time consuming and costly. For external partnerships, the process of bridging the ‘language’ gaps necessary for seamless inclusion in the working system becomes even more complicated and expensive. Cybercrime costs economies billions annually, with pharmaceutical and biotech companies among the hardest hit by hackers looking to infiltrate and steal data for a combination of money, fame and politics. must also be given access to the software itself, requiring a download and installation via a remote desktop application. This places the onus of further software licensing, support, and management on the business owner, while opening up a greater vulnerability of their internal systems and proprietary information. 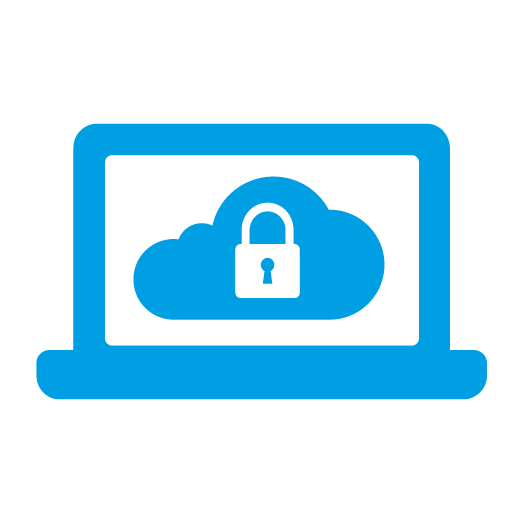 In addition to the added cost of licensing and upkeep, the training, configuration, installation time, and the inherent loosening of security to outside entities—creating holes in the firewall—introduces a burden of risk when intellectual property (IP) theft is greater than ever. 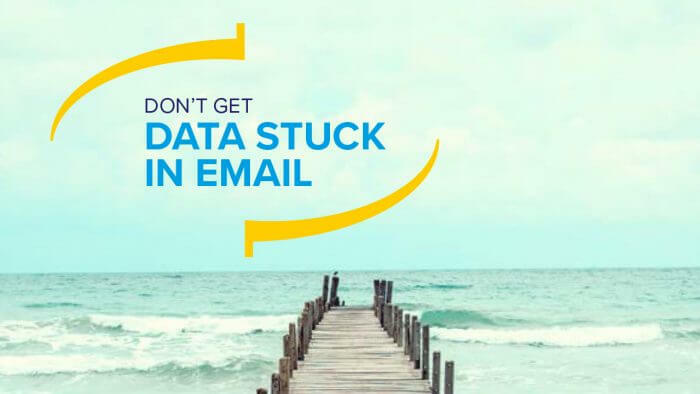 For smaller, nimble organizations that utilize many limited scope partnerships, such added money, work, and risk for quality data management, most often loses out to the old standby of email and shared content dumps. of any size, should have to choose between quality and security. With outsourced R&D on the rise, and an increased push for external partnerships over the lifecycle of a product development and launch, new solutions are required to fill the gaping holes left in the unwieldy email chains and version maintenance nightmare of SharePoint and Dropbox. But for B2B collaborations, IP security and management is more important than ever, and in an increasingly data-driven world, mistakes and omissions are no longer an option. With cost, speed, quality, and security all requiring equal footing, an accessible, user friendly, and nimble tool is needed. To create a secure, but standardized, B2B collaboration, users from external locations and fields need to be able to be incorporated and versed in software usage quickly, and with easy invite and password authentication. Cloud-based, software as a service (SaaS) models are designed for such activation, with elastic infrastructure that is capable of scaling up or down as needed. With modern user identification models, such as SAML and OAuth, all users need not be registered on the central parent company domain—allowing for fast and fluid user connectivity among numerous external partners on short-term contracts. 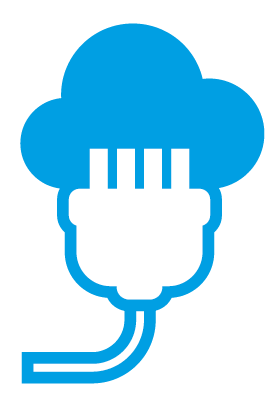 With cloud-based services, the only impediment to offsite partner connectivity will be not having Internet access. When a cloud- based software extension is linked back to the central ELN system of the parent organization, cohesive and quality controlled data transfer is possible to alleviate transcription mistakes, data set incompatibility, and untracked communication. Some businesses balk at the idea of moving R&D data operations to what is commonly perceived as the insecure domain of the cloud, but cloud-services security has strengthened to the point of being on par with, if not superior to, that of traditional corporate infrastructures. This is demonstrated by the recent shift of many companies CRM and financial applications to cloud-based service providers, not to mention the preferred shift of medical records and clinical data to the cloud. 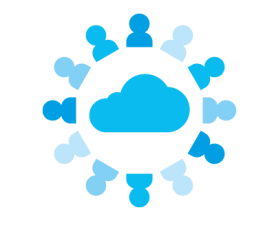 Properly researched and vetted cloud service providers will provide guarantees for system availability, vulnerability testing, and will sometimes be backed by a large infrastructure provider such as Amazon Web Services (AWS) or Microsoft Azure. To manage and meet all needs, the universal tool must be simple to use and innately navigable for easy onboarding of new partners. Though such software portals will most often be utilized by offsite scientists and technicians, the interface should be just as easy to learn and use by laymen to your greater processes. Across any discipline, the most prominent feature of a well-operated team, and the number one factor to protect against a failed partnership, is quality communication. To get the most from your data and collaborators, the need for strong, seamless information flow cannot be overstated. Amid the complexities of modern R&D operations, questions of start times, sample delivery, review status, etc, cannot be in doubt. Internal systems have widely become reliant on the logistical coordination supplied by ELNs and LIMS, and a collaborative aimed extension of those systems should not be any different. Tools should be selected that have built-in features to help foster and maintain the communication standards you’d expect in-house. Mechanisms for document and data review, social commentary, task alerts, and targeted messaging provide significant value added over email. Activity feeds and messaging within the portal need to be integrated with external email and calendar systems to help users gain necessary insight and reminders when not logged in. Basic document exchange and upkeep is the most rudimentary form of collaborative need when it comes to scientific R&D. In sample testing, manufacturing, and pharmaceutical development, chemical and biological models and material formulations must also be seamlessly exchanged and manipulated. Generic B2B platforms cannot respond or reflect the specified requirements of the laboratory setting— sophisticated tools are required to visualize and edit such contextualized data across fields and services. Many R&D facilities will have placed considerable time and expense toward building the LIMS and ELNs framework for their automated and integrated data capture requirements. Any means of sharing and incorporating data streams with external collaborators must be compatible with the complex internal working structures in place. Virtual working environments for partners need to operate like, and reflect back on, the LIMS/ELN central hub systems to facilitate downstream processing, assay metadata, and present data in a standardized format that is ready for reporting and analysis to consumer specification. The goal of good data management in any collaborative process is for the working environment to operate with a simple and transparent relationship to document flow across all stages of the project lifecycle. Trusted governance of content, version control, and authorship are necessary for a holistic grasp of data, and findings need to exist within the greater context, with easy searching tools through revision notes and reference history. As an example of early-stage data gathering in a broadly collaborative environment, consider the cloud-based B2B software use of an aerospace company that needs to run a cost and quality analysis of available parts across potential vendors in the sourcing and building of an engine. Via a cloud-based data transfer portal, the aerospace company could reach out to hundreds of vendors for thousands of data points (testing runs, tensile strength, breakage percentages, etc.) on various parts. Historically, for this process, companies would need to take in hundreds of Excel spreadsheets, manually input the datasets, cross-reference the information, and analyze. This would require many man-hours of work with a high likelihood of misrepresentation of data in transcription. run reports to compare all external data points stripped down to specifics – saving time and providing heightened accuracy for best decision-making. In this scenario, concise quality data management across network can allow the company to load data directly and run automated reports to ensure that levels consistently meet government requirements. For back- end use, this allows for seamless maintenance of compliance standards across vendors and without worry of lost data or missed impact factors. 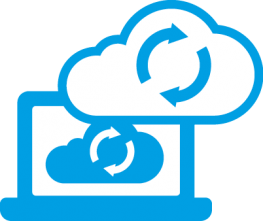 Ultimately, any collected data from a cloud-based system will need to be easily incorporated and archived within internal corporate repositories. Automated data extraction with direct integration to corporate infrastructure will greatly reduce quality control issues, expedite study results and reporting, and allow staff to focus their efforts on the science – simplicity and transparency throughout for better data and better decision-making. In a time of increased outsourcing, indispensable specialization, and diversified industries working together for a common purpose, an electronic solution for unified data management is more important than ever, and will soon become essential. E-WorkBook Connect from IDBS is a state-of-the-art ELN extension system that can be tailored for an array of scientific ventures. It is an uncluttered and user-friendly cloud- based system that enables specified individuals/teams/silos across platforms and firewalls to share data and communication via a secure central depository that will increase work ow and cut down on manual input hours throughout a project’s lifecycle. At IDBS, we have been providing tools to support R&D organizations for over 25 years. E-WorkBook, our award-winning, class-leading platform, is the foundation for delivery of enterprise-wide informatics solutions for the management of the R&D lifecycle. Our new cloud-based informatics solution is designed specifically to meet the unique challenges of scientific B2B collaboration: E-WorkBook Connect is a companion portal application for The E-WorkBook Cloud platform. Connect has been designed from the ground up with simplicity and speed in mind, while ensuring minimal IT support. It empowers business users to quickly set up new external projects, invite teams, plan work, share validated assay template, capture and review content, and securely publish validated structured assay data back into your corporate systems of record with a few clicks.